Todd: Hey Victor, I hear you're going home tomorrow. Todd: Ah, that's too bad. So how long have you been here? Victor: I've been here for two weeks. Todd: I'm sorry, I was never sure. Why did you come to Japan? Victor: I've been studying this art for about 18 years I guess. Todd: That's a long time. You're a young looking guy. You like 18 years. Victor: Well, I'm an old guy. Victor: Yes, yes! 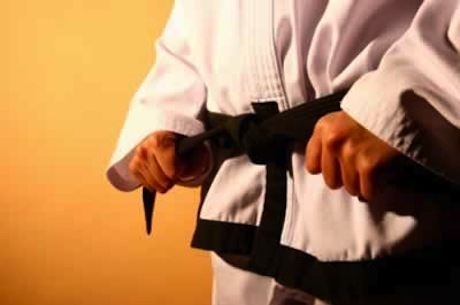 We have a group that we train in martial arts there as sort of a hobby. In a way, it's a sort of a way of life also. But I have a real job. I'm a civil engineer. Victor: It's OK. It's interesting. All buildings need repairs and it's fun. I hear you're going home? That's too bad. It's really too bad that she couldn't come tonight. That's too bad that they broke up. Martial arts is not just a hobby; it's also a way of life. I also have a real job; I'm an engineer. Jeff talks about being a writer. Tim talks about his road trips. Kerys talks about her rough school days. Victor talks about his maritial art. He needs to change his if he ever wants to be successful. In , I have never tried martial arts. It's that you didn't win the tournament. Improvement in English is something you have to . How many years did you study to be a ? I am looking for a right now.